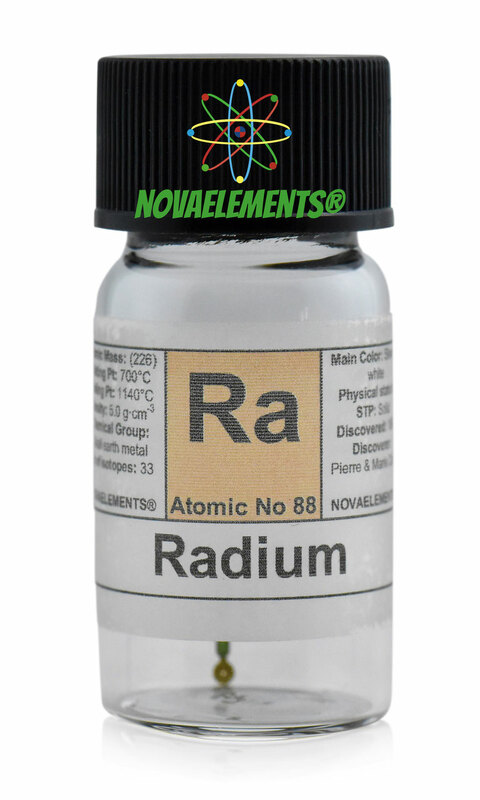 Radium is the last element of the alkali-earths metals with chemical symbol Ra and atomic number 88. Radium is a solid and silvery white metal at normal pressure and temperature but is highly radioactive and have no uses in the everyday life or other uses. Radium was discovered by Marie and Pierre Curie. In the past radium paints was used in the watches hands cause in the dark this paints lights up! The only way to get this element in fact is find the old radium watch hands. Absolutely rare Radium watch hand restored from years 1950. Limited quantity available. These watch hands light in the dark. 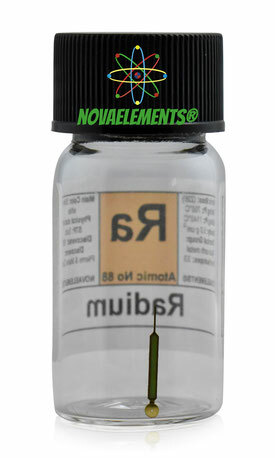 Stored in glass vial with screw black cap.